Why does the Bible depict a world in which humans, with surprising regularity, encounter the divine-wrestling an angel, addressing a burning bush, issuing forth prophecy without any choice in the matter? These stories spoke very differently to their original audience than they do to us, and they reflect a radically distinct understanding of reality and the human mind. Yet over the course of the thousand-year Biblical Era, encounters with God changed dramatically. As James Kugel argues, this transition allows us to glimpse a massive shift in human experience-the emergence of the modern, Western sense of self. 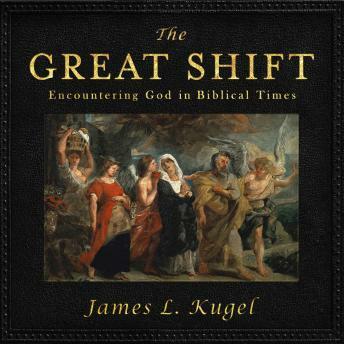 In this landmark work, Kugel fuses revelatory close readings of ancient texts with modern scholarship from a range of fields, including neuroscience, anthropology, psychology, and archaeology, to explain the origins of belief, worship, and the sense of self, and the changing nature of God through history. The Great Shift will make believers and seekers think differently not just about the Bible, but about the entire history of the human imagination.